David Lynch's 1977 dystopian classic. Finally an affordable version on DVD <$20. Skimps on the bonus material. "But what the hell do they know, I said?" 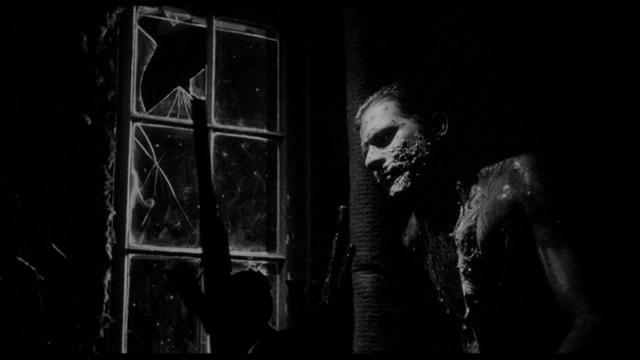 Surreal imagery and underlying themes are abundant in this classic directed by David Lynch. 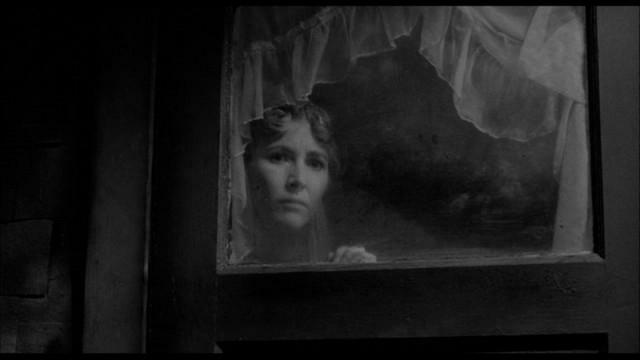 (Mullholland Drive, The Elephant Man.) 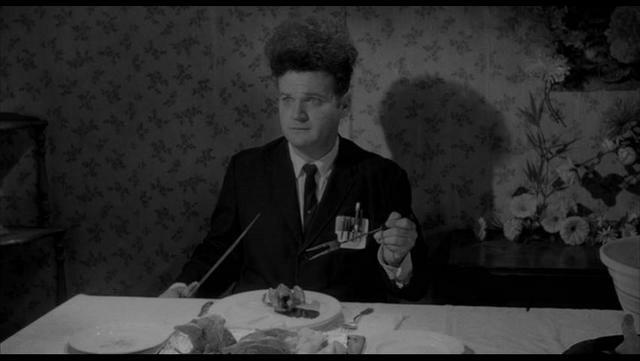 Eraserhead stars Jack Nance as Henry Spencer, an everyman with a ever-present streak of rampant bad luck, both at home, and in his love life. An acquaintance of Henry's, Mary X, proposes to him over a dinner of man-engineered chicken, which oozes menacingly when carved. "Do you mind, I mean, about getting married?" Mary asks a timid, and disturbed Henry amidst a family freakout due to their unplanned birth. The Baby is extremely early, and is essentially a fetus wrapped in swaddling clothes, not even a face a mother could love. The bundle of organs cries incessantly and eventually drives Henry and his "wife" insane, furthering the imagery, and craziness. Henry's love affair with "the beautiful woman from accross the hall," progresses the film, piling on more and more themes and ethical statements that Lynch may or may not have intended to pass on to film. The climax builds up, and explodes (almost literally). The new DVD that was released on January 10th is fairly bare bones for such a monumental film. 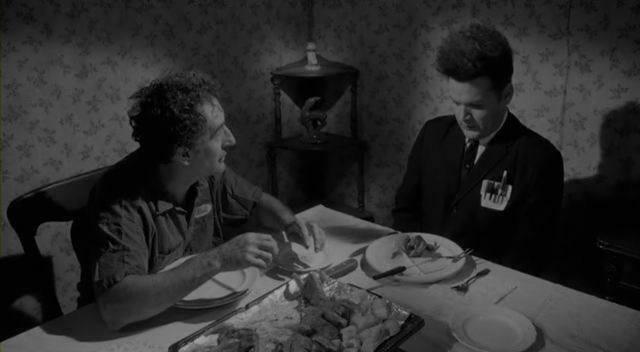 The only supplements included are an hour-and-a-half featurette "Eraserhead Stories" (In which Lynch talks about the movie); and the original theatrical trailer. However, the film looks very clean in 1.85:1 (enhanced for 16:9 televisions) and sounded great. 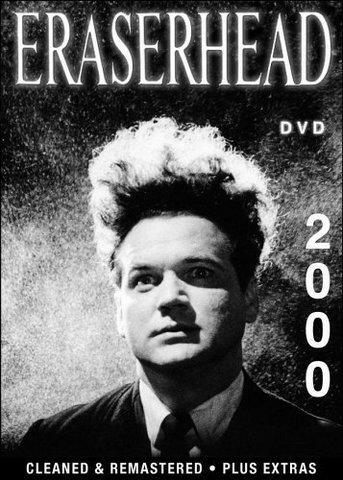 The first widely available edition of Eraserhead on DVD, it would be a great choice for the budding film enthusiast who hasn't yet experienced this Lynchian work.